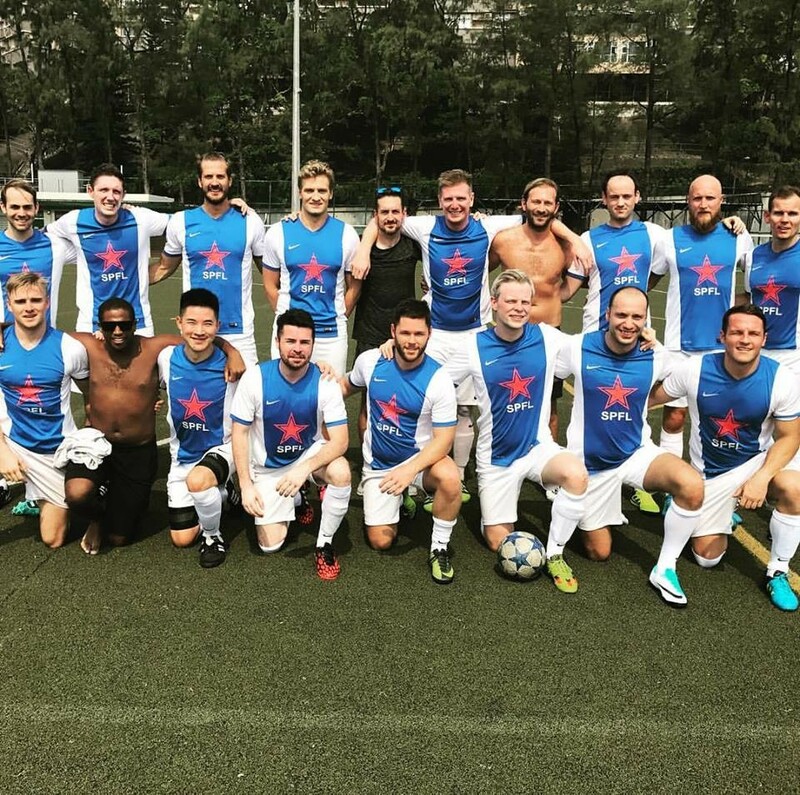 Catch up week in Division 2 saw 5 games taking place across Hong Kong with 35 goals plundered, new league leaders established, battling displays and the usual comical refereeing. It was indeed a Happy Valley for Revolution as they kicked off the weekends proceedings with a 2-0 victory over Shooters. On a tight pitch with both sides pressing well, it was always going to be a high tempo affair and the game rattled on at a fair old pace (despite the slightly ancient referee). Revo took the lead 10 minutes in when an inch perfect cross from the right was beautifully nodded in to the top corner by Dave Jessop. Chances came and went for both sides with both keepers putting in very assured performances until Tim Rechter wrapped it up mid-way through the 2nd half, just growing enough to head home from a deep free kick. Mes had the chance to go top of the table as they took on bottom side MBFC. No prizes for guessing the outcome here as Mes continued their handy habit of churning out cricket scores with a 12-0 win. The result means that they have now racked up a jaw-dropping 50 goals in their opening 8 games with just 2 points dropped so far. Chris Deleglasia (5), Lar Finnerty (2), Rob Barratt (2), Liam Kelly, Ben Rose and Anthony Saladas getting the goals. The positive for MBFC is that they won’t need to face Mes again this season. Old Speckled Men continued their good form with a 6-2 win over Legal Head. In contrast to the score-line, the game itself was very tight (although not bright due to the confusing floodlights at Po Kong). With the score locked at 1-1 at HT, Legal Head edged in front at the start of the second period but this seemed only to spur on their opponents who equalized almost immediately. From there, OSM never looked back and with Head chasing the game (and having missed a penalty), space opened up at the other end which was exploited clinically to give the final result some gloss. S Harrington, D Kelso, J Olsson and a hat-trick for G Wittevrongel did the business with Jamie Kelly getting both for Legal Head. Monday night saw a KCC double as both Cavs and Royals ran out comprehensive winners of their respective games. Cavs were looking to put an end to their dip in form having lost the last 2 and maybe this was playing on their minds slightly in the first period as Young Guns went in deservedly ahead at 2-1 with strikes from Andrew Ho and Garry Yu. After a period of re-grouping, Cavs settled in to their normal game after the break and with the benefit of fresh legs to call upon, turned the tide spectacularly to run away with a 5-2 win. Ryan Jarvis (3) and Nikhil Narwani (2) lifting them back up to 3rd. Royals moved in to the top half thanks to a 6-0 thrashing of BOCs. In a game where both teams just got on with it and played in the right spirit, the extra quality of the Royals lads told as Sam Wolstenholme helped himself to 3 with Luca Merlone (2) and Ben Cadman also notching. Another hat-trick in this game meaning that 4/5 fixtures this weekend had players bagging trebles – a true indicator of the amount of goals flying around this season as the race for the Golden Boot takes shape.